Despite Pasty Gangsta's lack of confidence, the Jazz stormed back last night to overcome a horrific start, and come out victorious against the Nets. 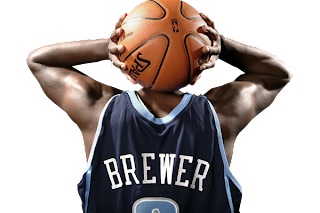 It appeared that Jerry was fed up with starters Ronnie Brewer and CJ Miles. Miles only logged six and a half minutes while Ronnie was in for a little less than 10. Both were on the bench the entire 2nd Half, when the Jazz made their furious comback. Was this an isolated lesson for these two young Jazzmen? Or will we see AK and Korver in Friday's starting line-up in Motown? I like AK where he is right now. And although Korver played well, he's still not exactly a great match up with most 2s in the league. Ronnie has been playing well. Miles though. . . still inconsistent. And as Jerry points out, seems afraid to dive into the fray and grab a board.